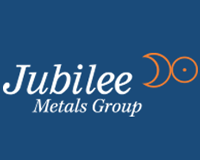 Jubilee Metals Group PLC (LON:JLP) Chief Executive Officer Leon Coetzer caught up with DirectorsTalk for an exclusive interview to discuss their quarterly operations update for Q2 2018. Q1: Leon, we’ve just seen your quarterly update, it looks like you’ve had a good second quarter. Can you talk us through the highlights? A1: We announced our Q2 of 2018 so that’s the results up until the end of June for our projects and of course, as the results show our Hernic project is performing really well even though, over the last 2 weeks of June we struggled with material being received by Hernic which we’ve assisted them to resolve. We broke through £1.6 million of net profit, that’s profit including all costs, which equates to about a 40% jump in our earnings even though the platinum price was soft. So, very very positive results out of that sector and looking forward to something better to be delivered over the next quarter especially if the platinum price reacts, these results show the low cost base of these projects and how well geared they are to the upside of the metal prices perform. Of course, the other project that’s happening at the moment as well is our PlatCro project where we entered into a joint venture with Northam Platinum. We are transporting our material to Northam Platinum and we will jointly process that material at Northam Platinum and we will retain the majority of those earnings. We, at the moment, are expanding the de-watering and classification services at PlatCro as we gear up to transport 60,000 tonnes across to Northam a month and of course, at those kind of rates, this project will be even larger than Hernic which targets to more than double our platinum production by next year, February, which is a very exciting project. We also spoke about our fine chrome recovery plant at our DCM project and maybe it’s not quite appreciated how significant that technology advancement is at DCM. In the chrome industry, and at DCM specifically, we’ve got in excess of about 800,000 tonnes of material at surface still containing roughly about 16% by mass of chrome and most of that chrome is classed as fine chrome. So, this technology advancement will significantly boost the chrome production at DCM and, of course the more chrome we remove out of that material the higher the grade of the remaining platinum becomes in those tails. I fully realise our shareholders are patiently waiting to hear the exact start of our recovery strategy for that Dilokong material which is of course very valuable, and I’m pushing really hard with authorities to have and provide that clarity for our shareholders over the next quarter. So, that will become our third platinum project being commissioned so it’s a very exciting prospect for our company and we’re pushing really hard to have both PlatCro and Dilokong platinum strategies delivered in the very near future. 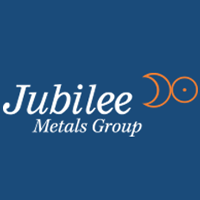 Q2: It’s definitely a very positive update, what can shareholders expect over the next quarter and what other opportunities are on the cards for Jubilee Metals? A2: As the announcement shows, we have a very jam-packed second half of the year ahead of us. We’re ramping up our PlatCro platinum project targeting that 60,000 processing tonnes per month and we’re executing and building over the next quarter our fine chrome recovery plant at DCM. Of course, not to forget, at the same time, we’ll conclude the design of our Kabwe which is a zinc, lead and vanadium project in Zambia, we announced that my technical team and process teams had to overcome the challenges of the original design that was developed by BMR for the Kabwe. The team hasn’t only overcome those challenges, they’ve significantly improved the process solutions adding a lot more flexibility into that process and, definitely, you know the shareholders can look forward to similar excellent results at our current operating projects and expect Hernic show even better results over the next quarter. You speak of other opportunities, we’re not sitting still, Jubilee Metals’ brand is getting up in the industry and we are engaging at the moment with large global mining house to become their metals recovery partner of choice. We’re in a very good position where we have proven how effective our operations are and these global mining houses are opening their doors to Jubilee at the moment. So, really looking forward to not only showing that we can develop and commission these projects, on at a time, but also show that we can execute agreements with large global mining licences to become their processor of chose as we are perfectly poised to infer this really large metals recovery industry, in the mining industry.